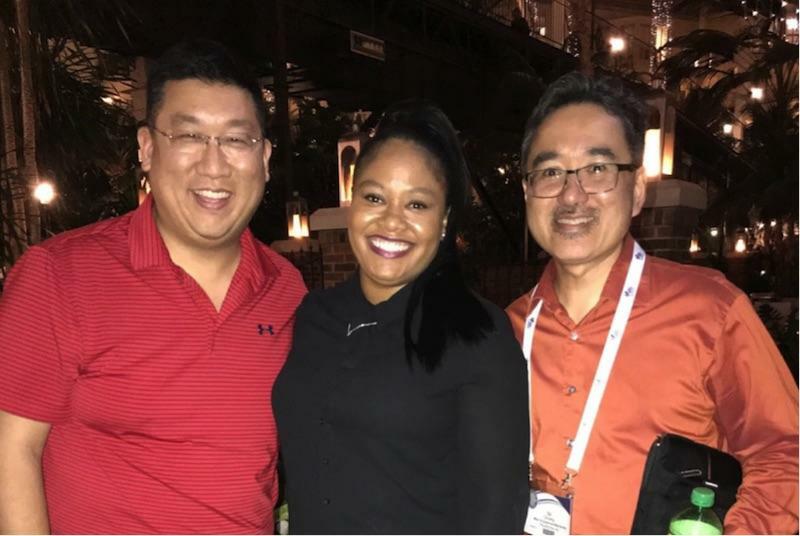 Our .BIBLE team met countless numbers of people in Nashville, Tennessee, last week at Proclaim 18, the NRB International Christian Media Convention. Why countless? Because we lost count. Haha! 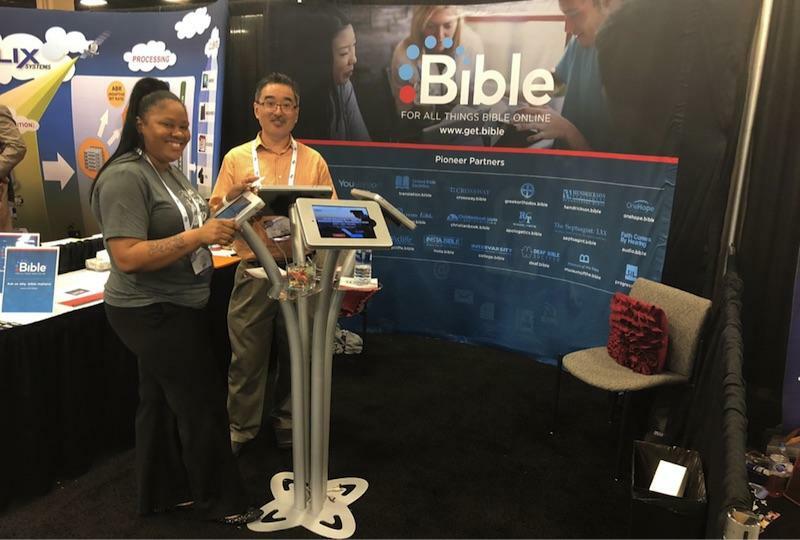 It was the third year in a row when .BIBLE has sponsored the conference with an exhibition booth and brand logo visibility. We are encouraged by the progress from year to year as people grow in their understanding of the value for .BIBLE as we share more variety in examples for how ministries are using .BIBLE domain names. Our team also met a handful of our .BIBLE ministry partners there. We thanked them for how they are using .BIBLE domains, both verbally and visually. Our ministry partners’ logos are the most valuable part on our booth wrap and we got to show them how good it looks. 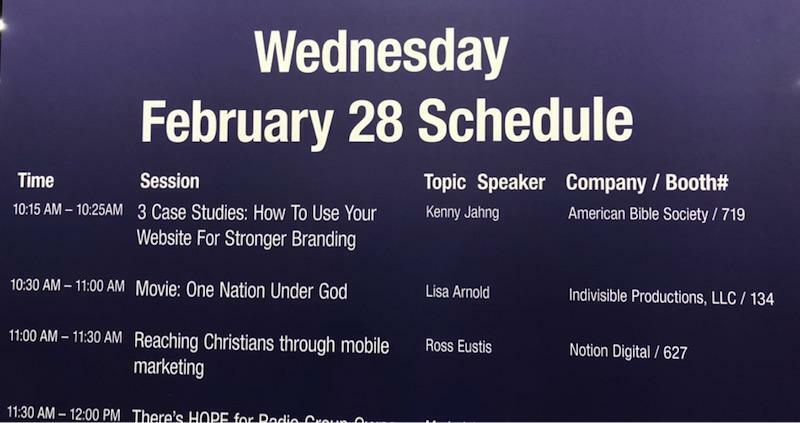 Who did we get to see represented at NRB Proclaim 18? Christianbook.Bible, Crossway.Bible, Hendrickson.Bible, Insta.Bible, Leadership.Bible, and Museum.Bible. Partnerships are incredibly valuable to .BIBLE, because we are only part of the equation. It can be said that .BIBLE provides the platform for ministry partners to increase their audience engagement and to strengthen their brand potential. And, we serve the ministry partners by shining a spotlight on their stories of success through as many communication channels we have access to. At last year’s NRB Convention, we made these videos to promote our partners’ ministries. Are you part of a Bible-inspired organization that might benefit from a .BIBLE partnership? Please reach out and contact us. It’s worth at least a conversation, right? We co-sponsored an evening meetup with SundayU. The .BIBLE team was happy to connect with about 35 people and had lots of food and fun. We chatted with both conference attendees and local church communication leaders, both old friends and many new friends. 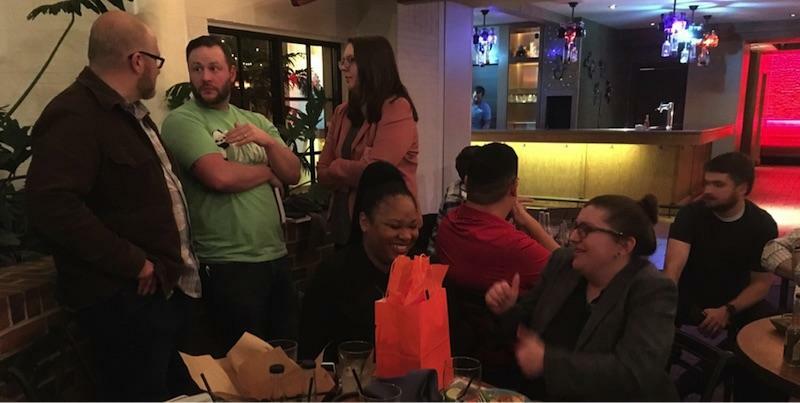 Particularly special were several people that had connected online through social media, even for years, and met in person for the first time. For example, this was the first time for DJ to meet Justin Dean ( SundayU and That Church Conference), Casey Cease (Pastor of C3.Church and CEO of Lucid Books), and Katie Allred (Church Communications); This was Kenny's first time to meet Bryce & Nick Runyon and Chad Huggins (CV Ventures), Andrew Burchfield (Burchfield Ministries International), and Alex Murashko (Media on Mission) and many others. And, not to leave any team member out, it was the first time for Aisha to meet everyone. 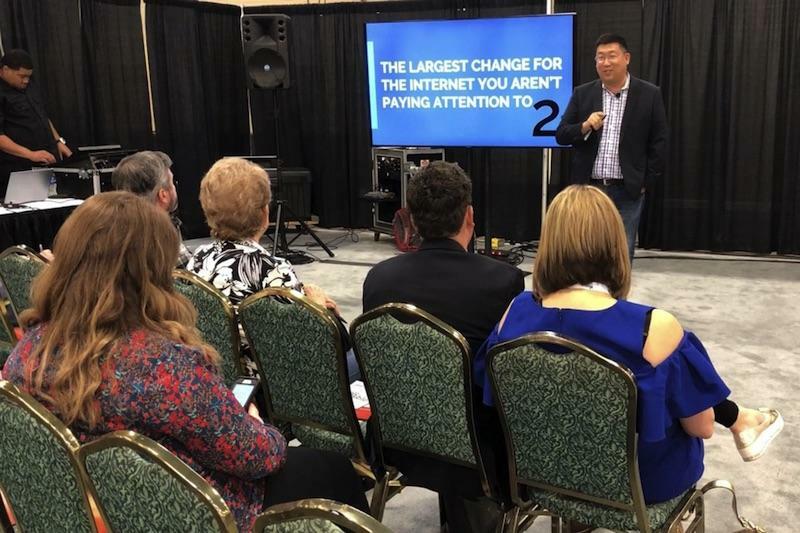 Kenny Jahng had the notable lead-off position to be the first presenter at 2 tracks during the NRB Proclaim 18 Convention. The Learner’s Arena was a dedicated space set aside for exhibitors to share about industries and best practices. The Digital Media Summit was into its seventh year as a dedicated track with a committee-selected roster of presentations about the trends and opportunities for online ministry in the digital space. 1. What is the most important change to the internet that you’re not paying attention to? 2. How valuable the first-mover advantage is. We are cleaning up the presentation content in post-production to share with you in the coming weeks. If you want to see the raw video recording, add a comment here, and if there’s enough interest, we can release that earlier than the nicer polished version.